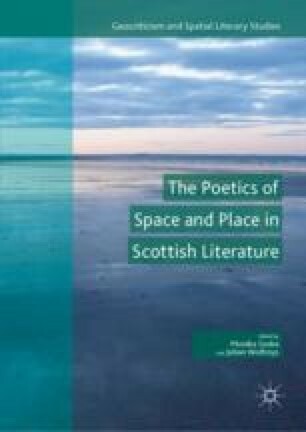 The poems of Robin Robertson present the reader with a negotiation between a barely present selfhood or identity, the material specificities of particular locales on the north-east Scottish coast, as these are remembered, and the mediating influence of the climate, seasons, atmosphere and other transient phenomena. While much of the work of the poems is a form of memory work, the poet drawing on his own memories of a childhood spent on the north-east coast, the self of the poems is more existentially fundamental, barely there and yet intrinsically, intimately enfolded in the world that determines and makes possible utterance. Robertson’s poetry is a powerfully phenomenological work that removes the poet to embed all the more powerfully a human sensibility within and shaped by a non-human world of land, air and water, in which the abiding persistence of the world is registered through its mutability, and its ineluctable change, forces that are themselves ‘translated’ in the medium of a language always alive to transformation. Vincenz, Marc. ‘A Celtic Mage’s Muses’. Open Letters Monthly (Online Magazine), January 2010. http://www.openlettersmonthly.com/interview-with-poet-robin-robertson/. Accessed 6 May 2018.